The intricacies and complexities of Agricultural Business Succession Planning will be at the fore for the Future Farmers of Yorkshire group at their next meeting. Held at the Great Yorkshire Showground, Harrogate, the speakers will cover the succession process, as well as the pitfalls, at the event on Monday 24 November. Kate has been a Future Farmer member for two years and farms near Driffield where she is a Director of the family’s 1,700 pig enterprise. A team from Langleys Solicitors will set the scene of one farming family in role plays covering a series of typical situations, for example succession planning, inheritance, employment, matrimonial, siblings and elderly client issues. ‘The role play will make you laugh but we believe that most of the audience will recognise at least one of the problems which the fictional family encounters’ said Kate. Following the role play, Sian Bushell will present a session on identifying the points of contention, how to communicate with family members and the various pitfalls of different stages of the succession process. Descended from a long line of West Wales farmers, Sian was a partner and then director of a successful dairy farm for 25 years. 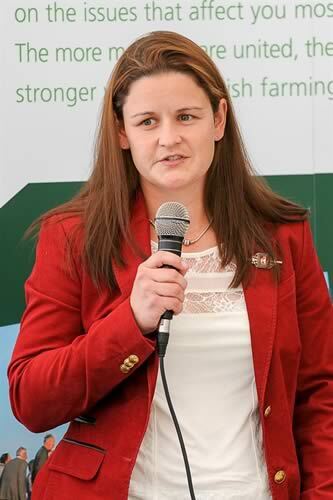 Although she lives in Pembrokeshire, Sian has an excellent reputation in Yorkshire and has assisted several farming families in the county with their own succession challenges. ‘We urge all family members to come along because it is never too late, or too early, to start the process’ recommends Kate. Future Farmers of Yorkshire was launched in November 2010 and is based at the Yorkshire Agricultural Society. It brings together younger farmers, vets and industry supporters.